My wife and I recently returned from a three week, fall 2017 vacation/tour of China traveling with a very fine Canadian tour outfit, staying in the best hotels, dining in fine Chinese restaurants, and traveling between now major metropolises on China’s newly minted high speed rail (CRH) at nearly a quarter of the speed of sound. We climbed the tallest building in Shanghai and walked on the Great Wall near Beijing. 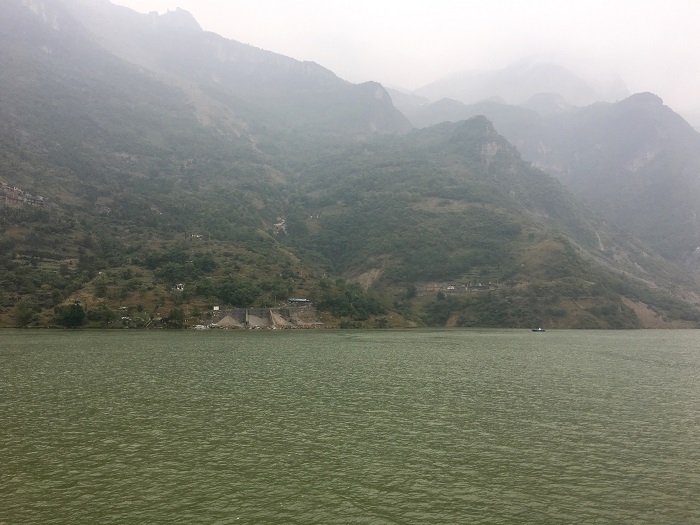 We even sailed down the famous Yangtze River through the now obscured Three Gorges from grimy downtown Chongqing (pop. 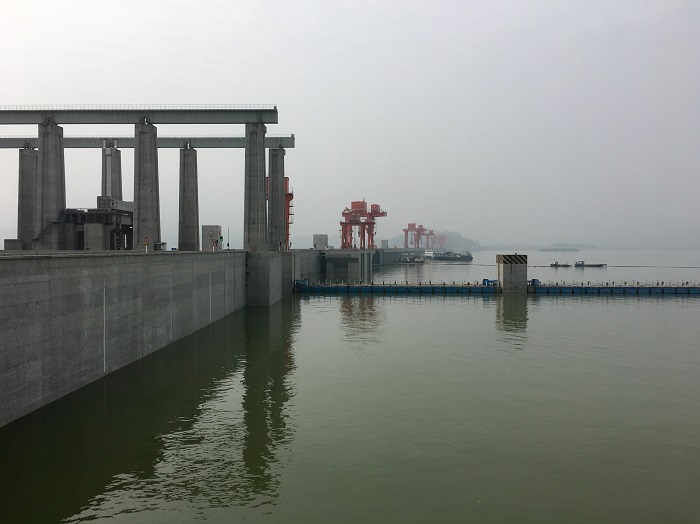 35,000,000, and where we saw Giant Panda Ling Ling in the zoo) to the nearly invisible through-the-air-pollution-cloud Three Gorges Dam. We knew there would be air pollution and planned for it by bringing N-95 (3M) and N-99 (see picture above) face masks with us to deal with the expected worst. The news is this: China’s pollution problem is so overwhelming that, in my opinion, its spread threatens the health of the world. The air pollution cloud is visible from the plane before you land. You are warned not to drink the water and the soil is known to be toxic in many areas. 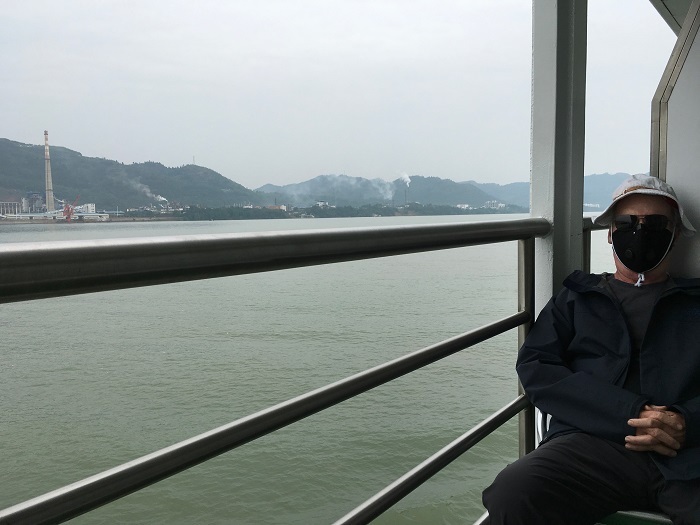 As we traveled on the CRH through the countryside, for instance, we saw many factories, coal-burning power plants and other heavy industries through the hazy moon-scape. Both my wife and I got respiratory infections after about two weeks of travel. At first, after arriving in Shanghai, the air seemed somewhat clear. I noticed how clean the city was and saw no garbage, no debris, but no insects, and no birds. Visibilities were good and the sky often blue. The view from Shanghai Tower at 1800ft. was impressive with some 10-20km visibility through partly cloudy skies. Maybe the pollution won’t be so bad after all. Then, after a few days, while traveling north to Qu-fu and Ti’ian, on the way to Beijing, we entered the white cloud. I noticed my breathing changing, my heart rate accelerating and a bad taste in my mouth. My eyes were irritated and burning. Soon, I partially lost my sense of smell and breathing became painful. Qu-fu, the home of Confucius, was reported to be only “moderately” polluted, but the air was thick with a bad smell and chalky taste. I noticed a few birds flying around the grounds of the Confucius temple, but no insects anywhere. Evening air pollution became fog-like, misty, a shrouding cloud. Upon arrival Beijing, like Shanghai, was relatively clean, with light pollution and some blue sky. But that lasted only a couple of days. 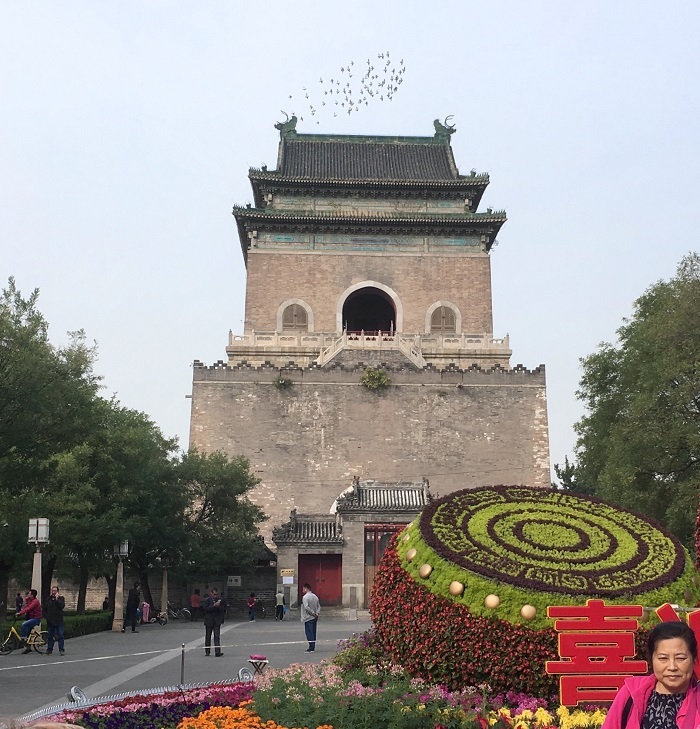 While touring the Hutong in Beijing, I was struck by this observation-with the exception of a flock of pigeons orbiting the Drum Tower, I saw no birds in any major city; no birdsong, no droppings, no nests, and no birds in the planted trees on the overwhelmed streets of urbanized China. 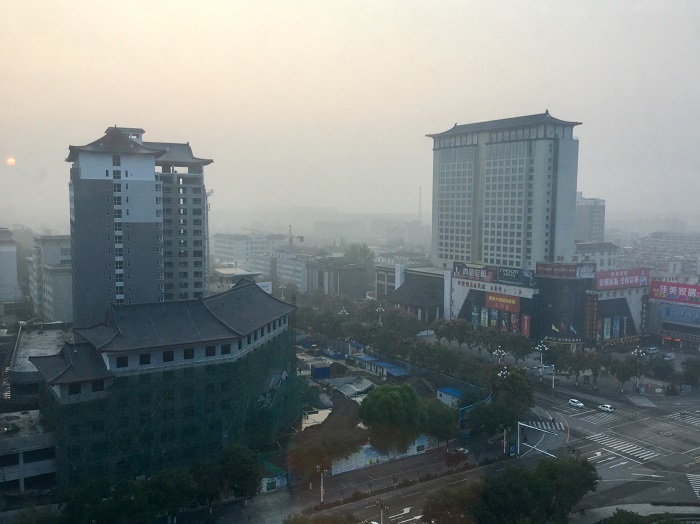 During the second week of the trip, in Xi’an, I noticed a sick feeling, a malaise throughout my body and had to wear the N99 mask I brought to find any relief. My eyes burned the entire time except when the air was filtered, or we were above the pollution cloud. I developed a cough and again failed to see any birds, insects or other wild life in the city. the most populated city in the world, we set sail for Wuhan, some 3 days away. My wife, coughing and with fever, visited the ship’s Doctor who declared she had acute bronchitis and treated her with an intravenous Chinese antibiotic. 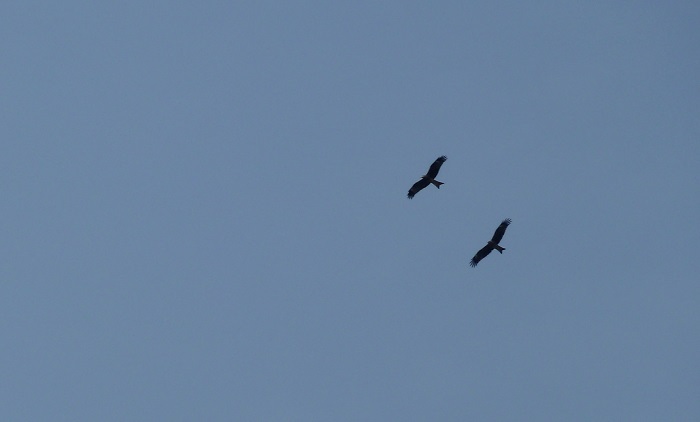 We did see a couple of Chinese Kites (vultures) flying over the river valley, but no fish or other wildlife. The air pollution hung like a cloud. We saw the Three Gorges Dam through the haze. I finally succumbed to fever near the end of the trip, in Hong Kong, and was treated for a throat infection, pharyngitis, with Western antibiotics and decongestants. In my travels throughout China, I never had the feeling the air, water, or environment was important enough to try to save, other than in official pronouncements. For instance, I saw very few windmills but many coal fired power plants, cement factories and other heavy industries from the train windows. I rode in endless heavy traffic in major cities. China claims to have signed the Paris Accord but, indeed, it seems as if China is somehow behind in its goals to “catch up” with the West, and appears to be in pedal-to-the metal growth mode. According to a statement made in The Economist in 2013, China has emitted more climate change gases from energy production than America since 2006 and by 2014-2015 China will emit twice America's total. At the present rate of development, cumulative Chinese emissions from energy production between 1990 and 2050 will equal those generated by the whole world from the beginning of the industrial revolution to 1970. About a quarter of China’s carbon emissions are produced in the manufacture of goods for export. Remember Rachael Carson and the book “Silent Spring”? A silent spring has arrived in China, year round. Sure, the Chinese may have eaten everything flying, but I found no birds, insects, rats, mice, cockroaches, mosquitoes, flies, or spiders in any city, anywhere, on the entire trip. No mosquito bites, no bed bugs, no garbage, no sewer smell, no graffiti, and almost no “blue sky.” Is pollution the cause? million deaths/year at 95% confidence], roughly 17% of all deaths in China. What to do? The air pollution cloud is now going global. See https://airvisual.com/earth for a real time global air pollution display. The water pollution has spread to the East China Sea and the Pacific Ocean can only absorb so much. 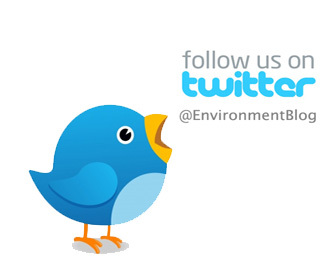 The soil pollution, well, does anyone know really how bad it is? I could go on and on, but actions speak louder than words. I only have observations and questions, but no real answers. This situation will continue, the pollution will get worse, CO2 levels will rise, and the planet will undergo great changes unless things change.